The compassion and care of a mother know no boundaries. No doubt, mothers are God’s greatest gift to the universe. The tales of a mother’s selfless love are been sung since ages. One such recent example of motherhood was recently seen in Bengaluru where a woman constable on duty volunteered to breastfeed an abandoned baby. The infant was found unwrapped, shivering in chilling weather of the city at GVVK campus near Yelahanka, reported The Times Of India. She was brought to a nearby hospital by the civil defence wardens on Wednesday. 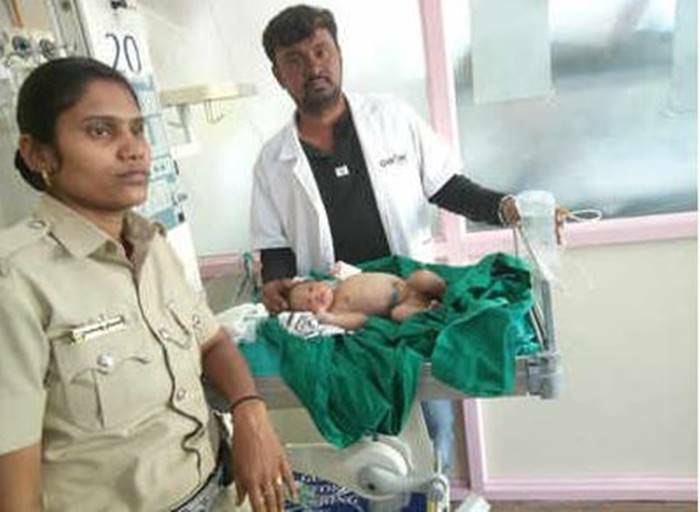 Constable Sangitha S Halimani from Yelahanka police station volunteered to breastfeed the baby. Doctors told that the baby was suffering from Hypothermia and was very much prone to infections at that time. Sangitha’s motherly act saved the abandoned baby girl. Before she visited the hospital the baby was fed on formula milk and IV fluids. “The baby reminded me of my daughter. When I saw her, I felt like feeding her and asked doctors if I could nurse her. She seemed like a healthy child though she was bitten by ants,” the mother of a 10-month old daughter, Sangitha told TOI. The doctors and other police officials have lauded Sangitha’s act of compassion. After all, what can be more satisfying than to watch a Khaki-clad woman go beyond the call of duty just to serve the purpose of humanity?